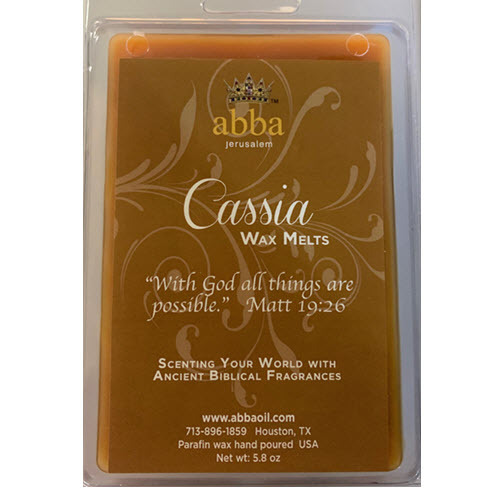 The inspiring Scripture from Matthew 19:26: "With God all things are Possible" on this candle will bring a ray of hope to anyone facing sickness, hardship, despair or broken relationships. What a powerful reminder that we are "overcomers" through faith in the Messiah, Jesus! We chose CASSIA for the fragrance as it represents Devotion and Dedication to the All-Mighty One with whom nothing is impossible. Hand-poured in Abba's facility.